Ok Google, How to Make eCommerce Business Voice Search Ready? We have successfully lived the first 2 months of 2018 and this year will be done and dusted as well just in a blink of an eye. 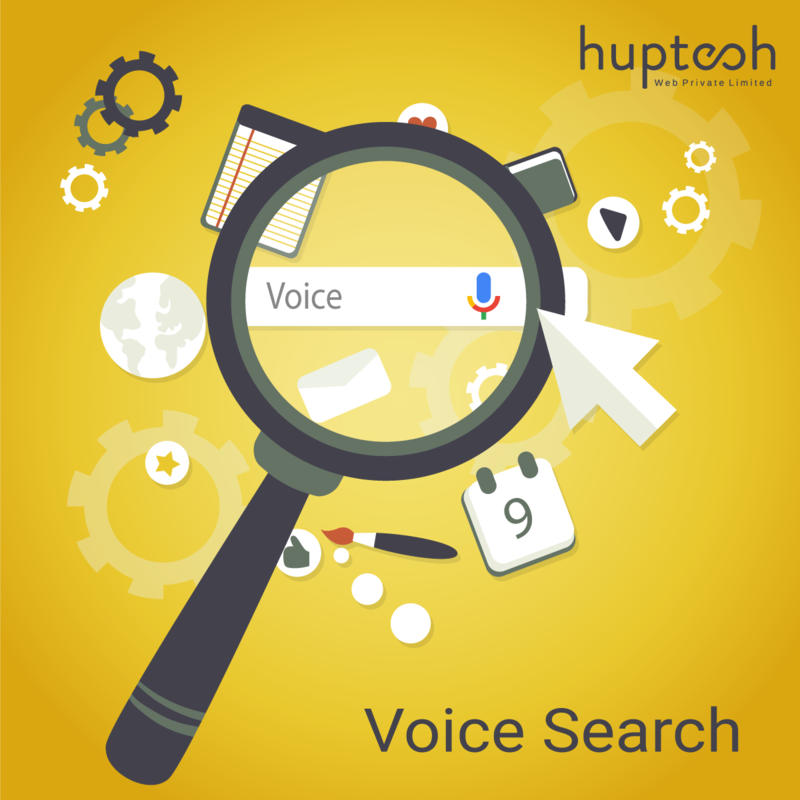 As one of the best e-commerce website development companies, Huptech has several goals set for the year and one of them is to embrace voice search technology for our clients. But as an e-commerce business owner, you must stipulate voice search plans with your e-commerce website development company or the in-house team. With Amazon’s Alexa, voice search has received a thrust of use and more and more people have started depending on voice technology. Although Alexa is not being hailed for its general voice searches, it soon will be. But yes, Google’s there and the ratio of precise results for Google voice searches have let people taste the convenience of the technology. There’s no turning back to voice searches now and each e-commerce business has to have a strategy to amalgamate voice search snippets, SEO, and content in a way that it doesn’t affect your current rapport with the search engines. But, how will you integrate voice-controlled e-commerce with your digital marketing strategies? As we were working, we found several core steps which could assist the business owners to execute this integration flawlessly. Here is how! Well, it’s difficult to say which niche will take longer than others to accept voice technology, but you may have to study your own niche. If you are selling medicines online, how many people are voice searching for medicines, which age group is prominently using it, and what are the snippets used by them to search are some of the things you must look into before devising your strategy. As an e-commerce business owner, you must know the preferences of your own customers because changing the SEO strategy is a big decision. You can also ask the professionals of web development services in India to help you understand the concept better. We type in minimum words for our normal Google searches, right? Say, for instance, I want to know the popular travel destinations for summer, all I will type is ‘Popular summer travel destinations’. But this query won’t produce relevant results for voice searches. Voice technology is gradually progressing and processing our Natural Language, but for now, they answer better when we pose a direct query. “Which are the best travel destinations for summer?” is what you might need to speak for accurate results. Your SEO strategies should focus on including keywords that align with voice searches for successful ranking there as well. Other than blogs and social media, your on-page SEO has to be voice-friendly for better visibility. This makes it inevitable to change your product descriptions and make them more answerable to voice queries. However, this doesn’t mean that you need to write new descriptions altogether, remember, you still need the normal SEO to work. With voice search technology, the queries become more precise, more local. A customer will speak exactly what he wants, for instance, ‘A single bedsheet with pink floral print’. This query includes 4 precise attributes, single-bed, pink, floral, and print. Thus, your product descriptions need to have every little detail of your product for a better ranking in voice searches as well. To conclude, there are many things, from SEO to content, that needs restructuring for your e-commerce business to be ready for the voice search technology. But rest assured if you have hired professional developers who will stand by all your decisions with absolute conviction!